Translational Experiments in Rats, Humans Suggest New Medication Target A study has linked panic disorder to a wayward hormone in a brain circuit that regulates vigilance. While too little of the hormone, called orexin, is known to underlie narcolepsy, the new study suggests that too much of it may lead to panic attacks that afflict 6 million American adults. "Targeting the brain's orexin system may hold promise for a new generation of anti-anxiety treatments," said Thomas R. Insel, M.D., Director of the National Institute of Mental Health (NIMH), part of the National Institutes of Health. "This is a good example of how translational experiments in rats and humans can potentially yield clinical benefits." NIMH grantee Anantha Shekhar, M.B., Ph.D., and colleagues at Indiana University and Lund University, report on their findings online Dec. 27, 2009 in the journal Nature Medicine. They showed that blocking orexin gene expression or its receptor prevented panic attack-like responses in rats. The study also revealed that panic disorder patients have excess levels of the hormone Alcoholism and Drug Abuse Counselors Continuing Education Background Orexin, also called hypocretin, is secreted exclusively in a circuit emanating from the brain's hypothalamus, known to regulate arousal, wakefulness and reward. Panic attacks can be experimentally-induced by infusing susceptible humans with a normally innocuous salt called sodium lactate. The salt similarly triggers panic-like anxiety behaviors in susceptible rat strains, suggesting that something is altered in their arousal circuit. Since sodium lactate activated orexin-secreting neurons in panic-prone rats but not in control rats, the researchers hypothesized that something might be orexin. Results of This Study The investigators first discovered that increased gene expression in orexin-secreting neurons correlated with increases in anxiety-like behavior in panic-prone rats following sodium lactate infusions. Using a technique called RNA interference, they then protected the panic-prone rats from developing anxiety behaviors following the infusions by first injecting them with a genetically-engineered agent that prevented orexin genes from turning on. Blocking orexin receptors with a drug that specifically binds to it also blocked the anxiety like behavior following the infusions. This mirrored effects, seen in both rats and humans, of benzodiazepine medications used to treat panic disorder. The excess sleepiness of narcolepsy, traced a decade ago to loss of orexin-secreting neurons in the arousal circuit, might seem to be an opposite state of a panic attack. However, the researchers demonstrated in rats that such sedation could not account for orexin's effects on anxiety. Also in rats, they traced orexin neurons to their end target to pinpoint the specific brain site that accounts for the anxiety effects, disentangled from cardio-respiratory components of the panic response. Finally, by measuring orexin in cerebrospinal fluid of 53 patients, the researchers showed that those with just panic disorder had higher levels of orexin than those with both panic disorder and depression. Significance Taken together, these results and other evidence suggest a critical role for an overactive orexin system in producing panic attacks, say the researchers. What's Next? Medications that block the orexin receptor may provide a new therapeutic approach for the treatment of panic disorder, they add. The research was also supported, in part, by NIH's National Center for Research Resources. 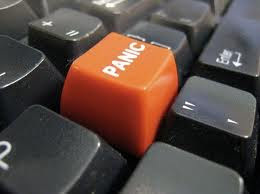 Reference A key role for orexin in panic anxiety. Johnson PL, Truitt W, Fitz SD, Kelley PE, Dietrich A, Sanghani S, Traskman-Bendz L, Goddard AW, Brundin, L, Shekhar A. Nature Medicine.